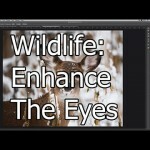 On this video tutorial photographer Glyn Dewis looks at how to make the eyes in your images look amazing using 3 simple steps in Photoshop. 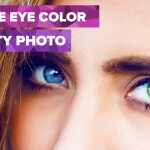 Select the eyes (the color part) using a circular marque tool. 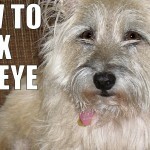 Press Q to show in red which parts will be effected by the selection – use white color brush and remove the area above the eye and the dark pupil and leave only the colored part of the eye. Use the Gaussian blur to make the edges of the selection a little bit less sharp. Choose selective color adjustment layer and change the blending mode and change it from normal to linear dodge. This might be too much – so reduce this with the opacity. You can also play with the adjustment layer and you can play with the color and contrast of the eyes. Add another layer and by using the sharpen tool (with sample all layers marked) and of course you can play with the opacity again to increase or decrease the amount. Very simple, very quick but very effective. 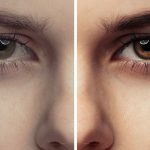 We have published countless videos on different techniques for enhancing eyes in Photoshop including: “The Ultimate Eye Retouching Guide to Photoshop” by Colin Smith, “How To Brighten, Color and Sharpen Eyes in Photoshop” with photographer Craig Beckta, a Quick Tip: How to Change Eye Color in 1 Minute in Photoshop! by Howard Pinsky, “Retouching Eyes in Photoshop: Color, Brighten and Sharpen” and Creating Realistic Eye Makeup in Photoshop by Aaron Nace, photographer’s Michael Woloszynowicz “How To Brighten Eyes in Photoshop” and Photoshop senior product manager Bryan O’Neil Hughes video on “How to Brighten Eyes in B&W Photos Using Photoshop“. 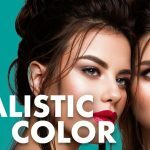 You can find many more Photoshop video tutorials on LensVid’s Photoshop section. You can also find more of Dewis’ videos on LensVid on this link.